One of my favorite newish restaurants is MiMi Blue Meatballs. Yea, it’s a meatball restaurant and all of their meatballs are good. But the fried Brussels sprouts are delicious. So, what? I grew up in a crowded house as the sixth child of a seven child flock. Meals in our house were more of a contest than a source of nourishment. But both of my parents were great cooks. Cooking for nine every day with no microwave, no carryout and no other affordable option is great training. People just don’t cook or eat like we did at our house anymore. We had Brussels sprouts once a week. Politicians’ public behavior back then was equally different. My first memory of TV was President Nixon resigning. I was about to turn 7 when it happened. I don’t remember it rocking our household. In fact, I never discussed it with my parents then or later. Of course, there are plenty of things to miss about that time, like reading the Sunday paper. Even with the biggest edition of the week, the Bristol Herald Courier was kind of like dessert in our house. You were lucky to get any of it, and when you did, you better consume all of what was in front of you because there was little hope of a second chance. We argued over everything, except what was actually in the paper. I have no memory of that ever happening. The first big news story I remember is when John Wayne died in 1979. There were fewer celebrities then and when the notorious tough guy died of cancer, I recall thinking what a powerful villain the disease actually is. Or was. Dad was in charge of the paper. The kids fought over the Sunday comics, and read the other crap sections while we waited our turns. After Dad was done with them of course. I wonder what that scene would be like if my parents were raising us now. Even in a small town in Southwest Virginia, I just don’t see it resembling life like it was back then. It might surprise some of you, but I can only remember talking about politics with Dad on two occasions, and both talks were incredibly brief. To my knowledge, he was never a member of either political party. He would never tell me who he voted for in any election, or for any office. That was personal and private to him. I don’t know anyone like that now. I wonder if he would have been able to keep quiet in a week like this. When President Donald Trump attacks a list of people for a list of irrational reasons, but particularly a deceased and decorated veteran and a beloved U.S. senator like John McCain. Dad would have had a hard time biting his tongue on that kind of repugnant behavior. Dad would not have cared about the political push points that are common fodder today like economic stats and polling numbers. On the other hand, I believe he would have cared deeply about the mean tweets, and the even meaner spoken words that came from Trump this week, and every other week. Dad was a veteran. Much like politics, he rarely spoke of his time in the Army during the Korean War. I wonder if he would stay quiet about that experience if he were here now. I suspect this would be another source of offense toward Trump’s brand too. He would certainly not approve of the phony bone spur story, or his treatment of Gold Star father, Khizr Khan, during the 2016 campaign. How could he? If Trump actually made America like it used to be, he couldn’t be president. Plenty of people miss a parents’ cooking. But my parents also cooked some truly awful food too. 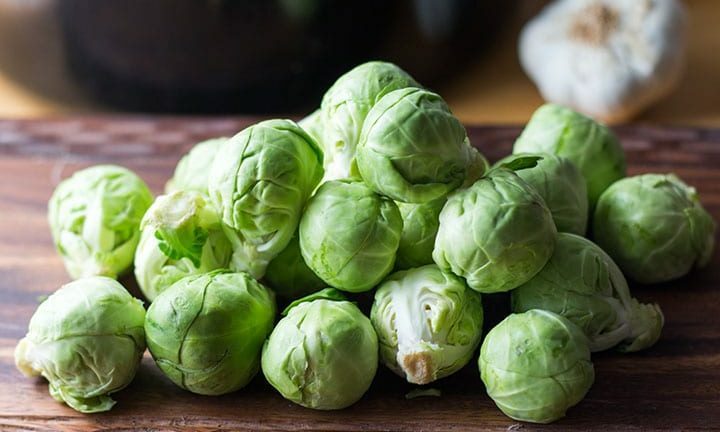 Take Brussels sprouts again. We had them once a week because my dad was the only one in the house who could stand them. That was sort of the point that all of us missed: it was something the old man could have to himself. It might confuse him most to know that eating Brussels sprouts are cool now. So, if he were raising us today, I bet he would find something else to eat.